NEW from The Recording Collective - "Love Won't Let Me Down"
The Recording Collective was launched by the team at MultiTracks.com with the goal of creating recordings that are a resource to worship leaders and listeners in multicultural congregations around the world. Today, The Recording Collective releases their brand new single, “Love Won't Let Me Down", to launch the release of their next full EP, Yes And Amen. The new EP will be the third volume The Recording Collective has recorded and released. 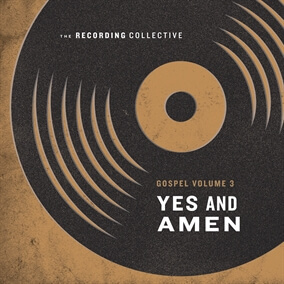 The full EP, Yes and Amen, releases Friday, Feb. 8 and features gospel-influenced congregational arrangements of popular worship songs also including "Who You Say I Am", "Reckless Love", and "What a Beautiful Name". Original Master MultiTracks and other worship-leading resources for "Love Won't Let Me Down" are now available.